Senate Republicans in Montana released a plan today to tear down Governor Steve Bullock’s proposal for state funded preschool and instead start work on delayed state highway projects. The budget for 2018 and ‘19 that Governor Bullock released last month included $12 million to start a pre-kindergarten program. "What the heck? How did we get in the position where the governor is saying we don’t have the money to take care of existing things? And yet he has all these other proposals to start new programs." Senate Majority Leader Fred Thomas, Republican from Stevensville. 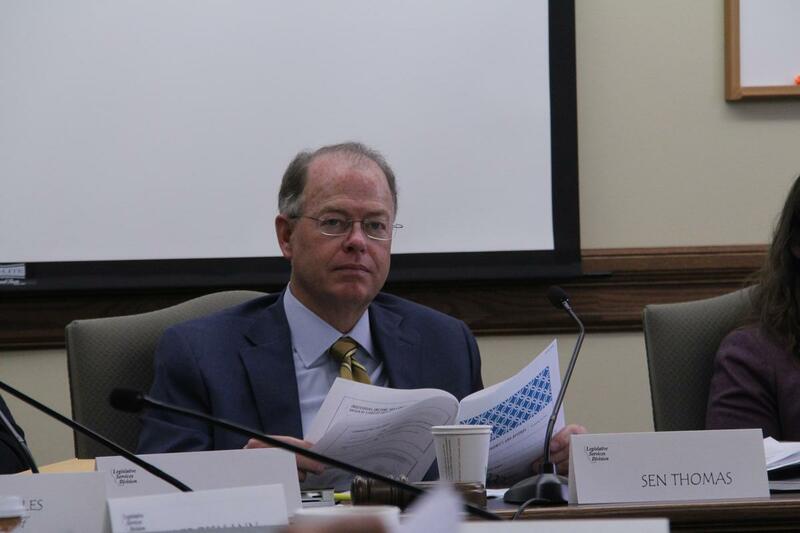 Thomas, and Senate Republican leadership, is proposing to spend money in the state’s general fund, sometimes called the "rainy day fund," to pay the road construction. There is currently no funding source for those projects because that kind of work is usually paid for through the state’s gas tax. And, a few weeks ago, the state Department of Transportation announced delays in scheduled road maintenance because of budget shortfalls in gas tax revenue. Governor Bullock does not want to use the "rainy day" fund to pay for road construction. Federal matching dollars account for most of the funding for state highway maintenance. If the state pays $14 million, the federal government will add $130 million to the pot for construction. It’s that $14 million that Republican leadership says they want to spend out of the general fund, instead of going to fund early childhood education. "I don’t know which it is, bad with math, bad with the truth, or they’re bad with both," Villa says. "The release today didn’t solve a single problem." In a statement today, Governor Bullock told Senate Republicans to "act like grown-ups" and work with him to pass a responsible budget. Republican leadership says, early in the session, they will draft a dedicated bill blocking Bullock’s early childhood education program and appropriating general fund dollars to road construction. The Bullock administration’s new budget released Tuesday outlines an increase in state spending of just over one percent over the next two years. This despite declining state revenue from the sales of coal, oil and gas. An effort by Democratic leadership to get some so-called "silver bullet" bills this legislative session, like they had in 2015, was denied by Republicans this week in a rules committee. The term "silver bullet" was created in the 2015 session to describe the process of moving legislation from a committee onto the House floor with a simple majority vote. That usually requires a supermajority, which makes it easier for a majority party to block bills they don’t like. A new tax on medical marijuana proposed by Governor Steve Bullock would add an estimated million plus dollars a year to government bank accounts. That’s almost 3 times more than the governor’s office says will eventually be needed to support the state’s medical marijuana reform. On Thursday, lawmakers got their first look at how much money is likely to be in the state’s checking account as they head into the upcoming legislative session. It turns out that, even after a year of economic downturn and declining sales of coal, oil and gas, the state’s revenue picture is actually looking up.